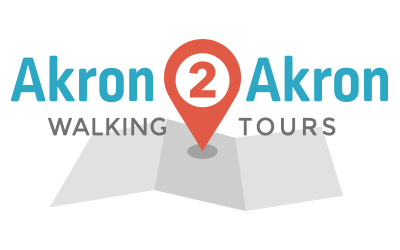 Join us for the next Akron2Akron walking tour! Led by: Karen Starr, co-owner of Hazel Tree Interiors, and Kyle Julien, who works in neighborhood planning and community development. Akron2Akron's tour of the West Hill neighborhood will begin at 1:30 pm in a brand new neighborhood gem, the pocket park at 88 Oakdale Avenue (just south of Crosby; use on-street parking or the church lot on Crosby just east of Oakdale). The tour will feature the under-appreciated historic residential district along Oakdale, and then introduce you to many of the small businesses of West Hill. 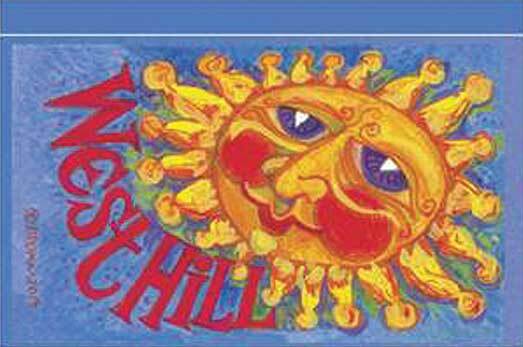 Along the way, we will consider some of the opportunities and challenges faced by the West Hill neighborhood. The tour will wrap up at 3 pm at the Glendale Steps, in time to witness the unveiling of the Glendale Steps Murals, a project of the Lock 3 Summer Arts Experience. A post-tour reception with light refreshments will be held at Hazel Tree Interiors (on West Market at Walnut, about a half mile from our starting point). The tour will be led by two West Hill residents, Karen Starr, co-owner of Hazel Tree Interiors, and Kyle Julien, who works in neighborhood planning and community development. Jane Startzman of West Hill Neighborhood Organization and Ward 1 Councilman Rich Swirsky will provide opening remarks. Registration is not required for this tour. This tour is kid friendly. Pets are welcome during the walking portion only. No pets at Hazel Tree, please.